D E S C R I P T I O N : My son and I spent a night at Cameron Park Zoo with cub scouts, and fed the giraffes. We were amazed by the length of their tongues! My proposal is to represent a stylized version of a giraffe; the design to be humorous in nature, a whimsical view of the giraffe eating from a tree, featuring its prehensile tongue. The sculpture would be made from unpainted stainless steel pipe. It would be a natural satin silver finish, which would capture the sunlight and be maintenance free. This piece is designed for high visual impact at 18' high x 7' long. "My cast sculptures are influenced by my interest in toy design, and both folk and outsider art. These works feature paint-worn patinas inspired by played-with cast iron piggy banks, die-cast toy automobiles, and tin toys. For many of these works, I use a variety of original forms from which to pull a mold. These include wood, clay, vegetables, and cactus. My goal is to capture the magical quality of these powerful objects of meaning." 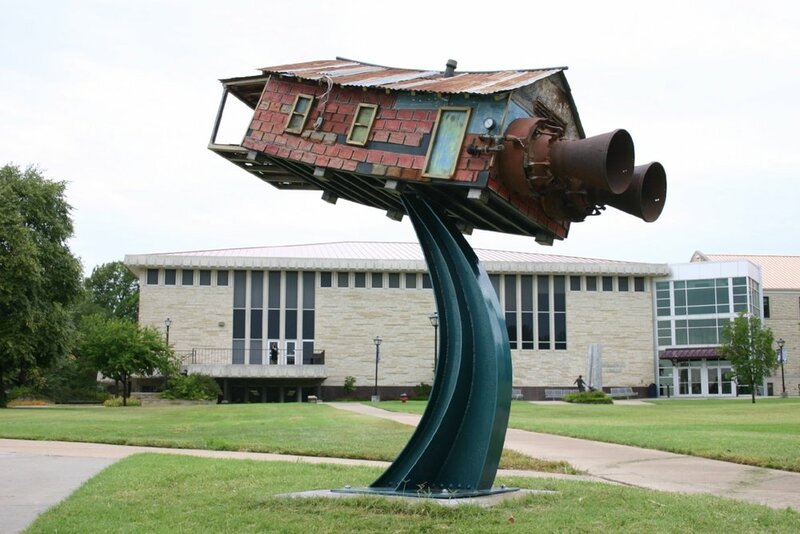 Barber is an associate professor teaching Sculpture and 3-D Design at Baylor University. He has been at Baylor since the fall of 2000, preceeded by six years at Midwestern State University in Wichita Falls, Texas. He has more than twenty-seven years related to teaching and making sculpture. Barber has made many outdoor works and have extensive experience with welding, woodworking, and casting. His specialty is working with found objects and metal fabrication. 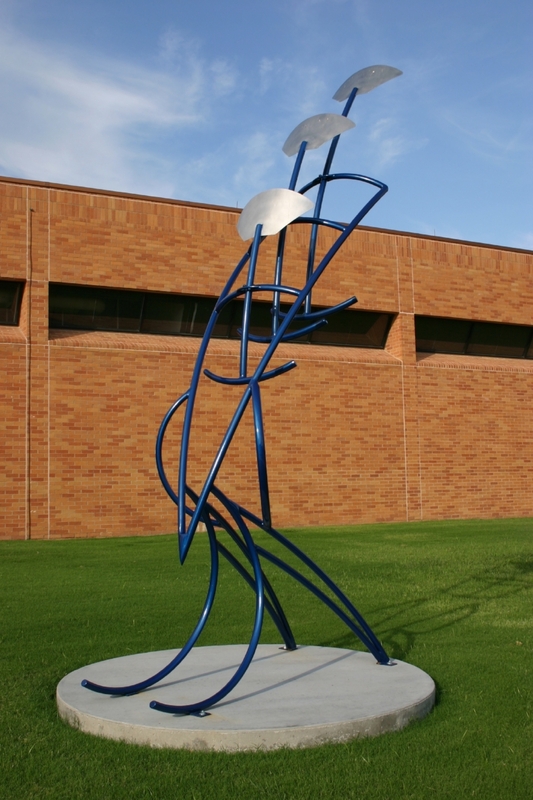 For example, the sculpture Dreams of Flying, is an outdoor sculpture that was purchased by the Auburn Museum of Art at Auburn University. It is made from fabricated steel, with metal found objects, and is painted. This piece was purchased from their annual national juried outdoor exhibition called Out of the Box. He also has a good deal of experience making outdoor sculptures for year-long temporary outdoor exhibitions, and has worked with many other sculptors on large installations. 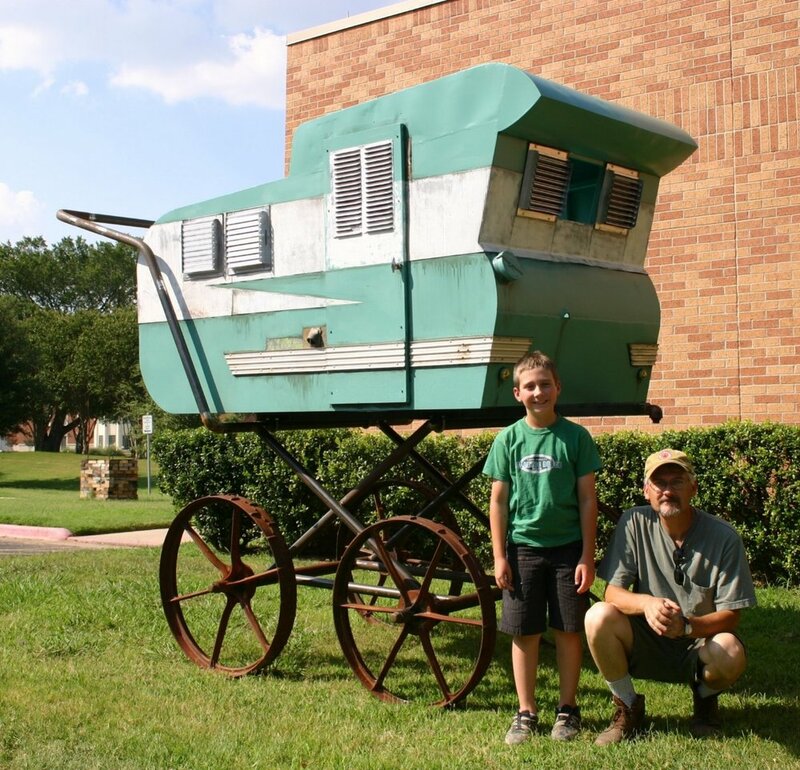 Several years back, Doreen Ravenscroft and Robbie Barber created an outdoor show for Waco that went on for several years, and he currently has three outdoor sculptures in yearlong exhibitions. Barber is a founding member of the Texas Atomic Iron Commission, comprised of sculpture educators dedicated to the dissemination of iron casting as an approach to art making. Through this organization, he has presented over eight workshops, participated in over thirteen iron pours throughout the states of Texas and Alabama, and has been invited to three Keen Foundry Invitational Iron Casting Symposiums in Houston, Texas. He has exhibited widely throughout the United States, including exhibitions at Socrates Sculpture Park inLong Island City, New York; the Fort Lauderdale Museum of Art in Fort Lauderdale, Florida; the Grace Museum in Abilene, Texas; Grounds for Sculpture in Hamilton, New Jersey; and Redbud Gallery in Houston, Texas.